The reference multi-mission, twin-engine helicopter continues to set standards 20 years on with the addition of Airbus Helicopters’ Helionix. The H135 remains a cornerstone of the company’s global strategy through recent orders from China and the UK. Amsterdam, 11 October 2016 – Airbus Helicopters is celebrating two decades of operations with the H135 light twin, multi-mission helicopter at the Helitech show. Twenty years after its entry into service and thanks to continuous evolution, the H135 has significantly extended its performance and mission capabilities. Today, more than 300 customers in 75 countries operate the H135 for a wide range of missions including Emergency Medical Services (EMS), law enforcement, corporate transport, offshore wind and military flight training. The integration of Airbus Helicopter’s Helionix avionics suite underlines the constant development of the H135. The cockpit system with 4-axis-autopilot – which already equips the H175 and H145 family – will further reduce pilots’ workload and provides an unrivalled level of safety. The H135 with Helionix will receive certification by the European Aviation Safety Agency (EASA) in the coming weeks. 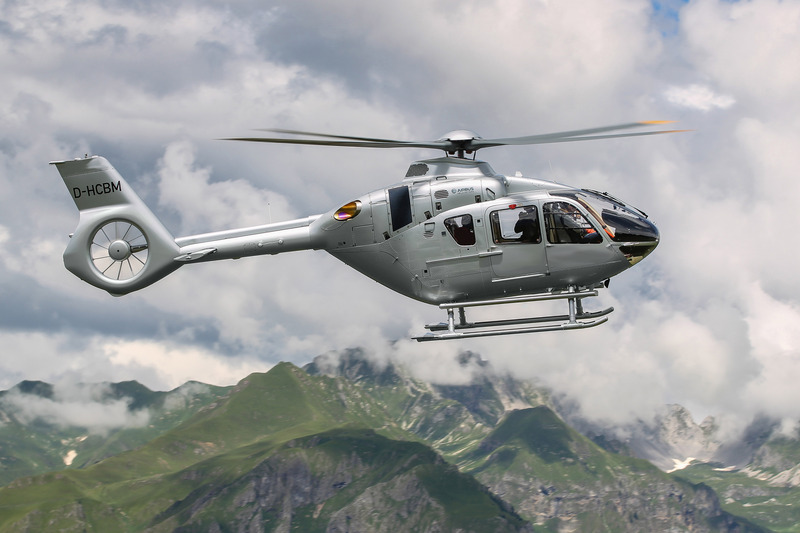 Ascent Flight Training will be the first recipient of a fleet of 29 Helionix-equipped H135s, on behalf of the Ministry of Defence, as part of the UK’s Military Flying Training System (UK MFTS). The H135 will continue to set standards worldwide in the frame of the company’s global strategy. Following the partnership agreement with a consortium of Chinese companies who purchased 100 H135 in June 2016, the light-twin helicopter is now set to burst into the Chinese market with its outstanding EMS Multi-Mission capabilities. “Over two decades and four million flight hours, the H135 has established itself as the utility helicopter of choice worldwide thanks to its proven track record in safety, availability and flexible configuration,” said Guillaume Faury, Airbus Helicopters CEO. “Today, the evolved and upgraded H135 plays a key role supporting our customers’ success fulfilling the mission requirements for public service, military, corporate and offshore roles,” he added.